Hip-hop is constantly evolving and Louis VI is at the forefront of changing the game. 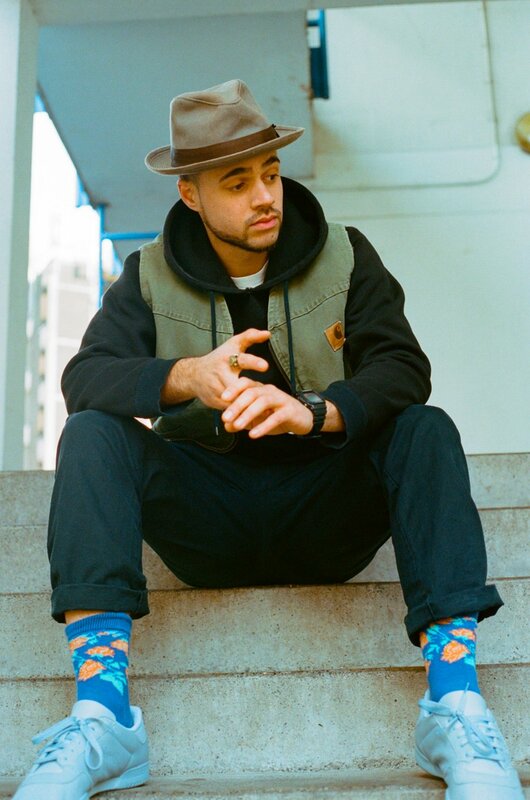 The producer, rapper, singer and multi-instrumentalist defies all genre limitations, blending electronic and hip-hop vibes with soft soulful trap-jazz beats. With his profound and at times brutally honest lyrics, his tracks show a self-awareness and emotional vulnerability rarely seen in today’s hip-hop landscape of braggadocio. It’s been just over a year since Louis VI released his EP Lonely Road of the Dreamer, heralded by Saint Heron as one of ‘primal, introspective glory’. He’s back with his debut album, Sugar Like Salt, his powerful and self-reflective lyrics ever-present, but the accompaniment of jazz-infused beats, and features from the likes of Mick Jenkins, Nubya Garcia, Moses Boyd and Jelani Blackman, add a lightness to the tone. We caught up with Louis VI to talk about his music-making process, dream collaborations and his upcoming show. Congratulations on your debut album, Sugar Like Salt! How is it all going? The reception for my album has been insane. Everything that’s come back and what people have been saying is overwhelming. It’s mad – some people are saying it’s a classic already. People have said it’s taken them on a mad journey, and others are saying they can’t find a flaw in it. Talk us through you as an artist. How did you get into music? How would you describe your sound? When I was younger, I had loads of crap going on around me, at home and outside, so music was always a way for me to digest it. Putting my thoughts down on paper was a good way of dealing with stuff – it always has been. I got a fake ID at 14 and went on a free production course for 18-year-olds, where I learnt how to produce, then I went on from there, adding new strings to my bow. I did jazz drums and keys, and my Mum always played music around the house, so I got influence from everywhere then started taking it seriously. My sound is honestly just me. 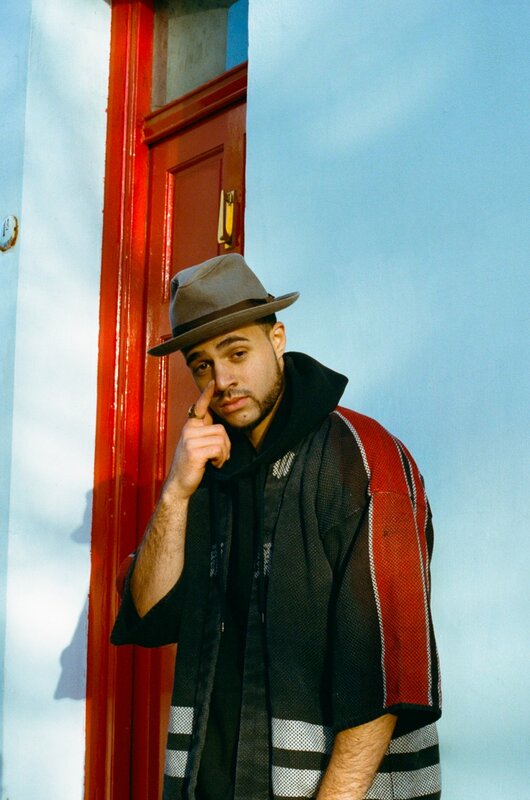 It’s a mix of different genres – it’s rooted in hip-hop and London, but it’s an expansive sound reach from here to the States. I’m quite a deep lyricist so I try and bring a lot of musicality to the beats. I’m just trying to make people feel something, in whatever shape or form that takes. It’s music that will take you on a journey. With Sugar Like Salt, how was the music-making process different to Lonely Road of the Dreamer? The difference was huge. With Lonely Road of the Dreamer, even in the content, it was much more introspective. When I was creating it, it was more me in my bedroom, sitting down, writing from a dark place. I’d gone through depression and I was trying to figure stuff out, so it literally felt like I was on the lonely road of the dreamer. With Sugar Like Salt, it was a more collaborative, outward-looking album. Even with the way I made it, whether I was in London, New York or LA, my main process was getting the beat/instrumental (whether I made it or it was sent to me), then I’d play it on my phone, strap my laptop next to me in the car, record it on Ableton and just freestyle and let out all the madness. I don’t what it is but, any kinda filter I have, goes when I’m driving. Then all those first bits seem to be like my real feelings, coming directly from what I’m hearing in the music, subconsciously or not. It was a really nice way of making music – organic and natural. There are nine features on Sugar Like Salt. How did they come about? Was the process organic or did you find specific artists and want them to hop on tracks? A mix of both! Everyone on the album was someone I really vibe with or know on a level. Like Moses Boyd, I really love his style and I wanted him on the album. With Nubya, I went to school with her and I’ve seen her killing it with her music, so wanted her on it. With Jazz Got Me, I thought Mick Jenkins would be the best feature but never thought it would happen. I was in New York at Xavier Omar’s gig (who I know) and he knew Mick’s manager who contacted me. Mick loved the tune and sent the verse back that week. It all happened organically but coming from people I really respect and who love what they’re doing. There’s loads! I’d love to work with River Tiber, Saba and J.I.D. In the UK, I love what Mahalia’s doing – she’s so soulful, I really feel her vibe. Me and Kojey have been talking about doing a tune for a minute – I think we need to just do it! On a mad level, to do something with Jorja Smith would be sick. I love her album, and I think we should do something really interesting, coming from two different sides of UK sound but on the same coin. For the same reason, James Blake – he’d be incredible to work with. He’d take me somewhere else completely. You rap, sing and produce. With Sugar Like Salt, you’ve gotten involved in the creative concepts and direction of your videos. Do you want to more involved in the visual side? Yeah definitely. I never set out to do it, but the music-making is such a visual process, I feel like I have to lend some sort of creative asset to it. My favourite director is Kahlil Joseph – he brings another level to the music to make you really feel it in that whole sphere of dope art. I just wanna make the dopest art – whether that’s music, visual or live. How do you manage the music-making process in terms of rapping and producing? I don’t manage it well! It just happens when it happens. Sometimes, I suddenly feel inspired to write stuff and the rapping will take dominance. Other times, I get really inspired by producing. The lyrics, the singing, the rapping – those are the bits that solidify the track. It can be a relief though when someone gives you a dope piece of music and you can just be the artist and let the words come streaming out. How do you find the artist lifestyle? It’s crazy, particularly as an independent artist. I run my own record label, Like Water, which I released my album and EP on, and I’m managing a team. A year or two ago, it seemed stressful and a distraction to just being an artist who creates, but there’s creativity in it. If you’ve got a good team, which I have, it’s fun – you get an almost similar buzz to making music. I wanna let people listen to Sugar Like Salt, fully digest it, then go hard on the live side. Performing is my favourite bit, it becomes a whole other thing when I can express the tunes in a live setting. We had a crazy show at Clash Live at Metropolis Studios, and the sound and vibe was phenomenal. My live show on 27th September is at Bermondsey Social Club – we’re keeping it intimate. After that, I’d love to go on tour and I want to support some dope acts. The album has 14 tracks so it’s got a long lifespan, and there’s many ways for it to be digested. We’ve got some cool ideas – I wanna create a visual 3D experience for the album. My creative itch is still there though, so I wanna work with lots of other people and do some features. Finally, everyone at Wordplay wants to know, what’s the meaning behind your name? Louis is my first name. I wanted it to be my name when I made the switch for my music to be more honest – shortly before I released Lonely Road of the Dreamer – I needed to talk about the stuff going on in my life that made me vulnerable. The VI comes from my mixed-heritage (I’m French, Caribbean, English, Scottish and Italian), I’m born on the 6th, and I wanted to switch my Caribbean name (which derives from slavery), to something significant to me. VI came up and it felt honest, it was me. Tickets to Louis VI’s show on September 27th at Bermondsey Social Club are on sale now. Buy here.